New Jersey-born, Brooklyn-based indie alternative hip-hop producer and recording artist SAZE has created his own blueprint. 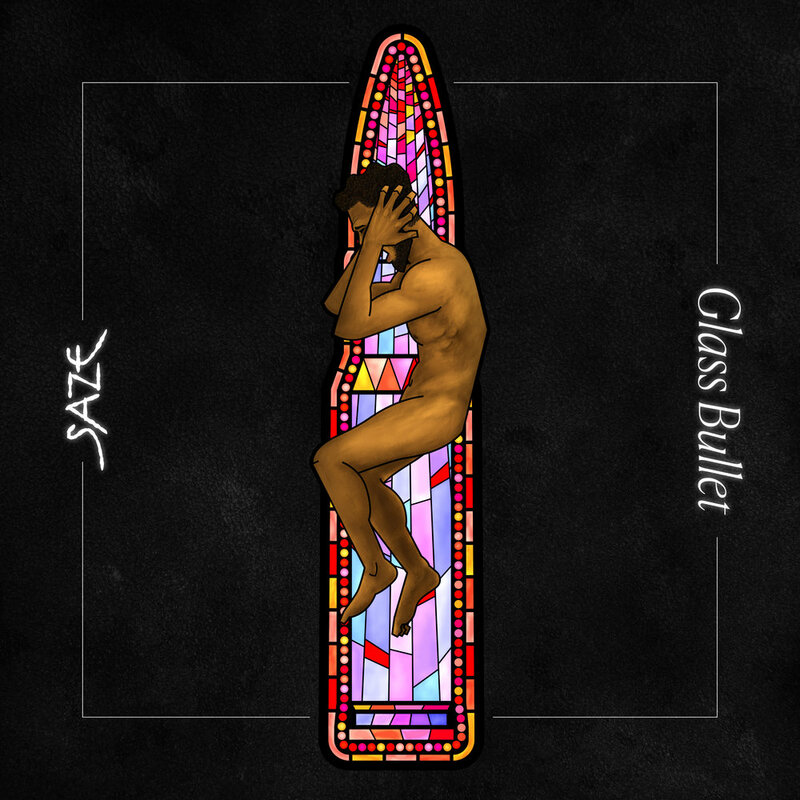 With his latest release, “Glass Bullet” he puts forth an exercise in vulnerability, building on SAZE’s unique approach to hip-hop production, fusing in elements of indie rock, electronica, trap, and psychedelic textures, all carried by his distinct and dynamic approach to both rapping and singing. With a few shining guests along for the ride, SAZE masterfully weaves through an array of moods and concepts, topics ranging from isolationism to moral pitfalls, from love to lust, from post-apocalyptic commentary on race to compelling examinations into escapism and depression. SAZE’s range as a producer, songwriter, rapper and singer is on full display across these potent, engaging 10-tracks, running just under 40 minutes.